GRAND THEFT AUTO V continues to cement its place as one of the best-selling games released after selling 65 million copies worldwide. Its publisher, Take-Two Interactive, confirmed the news in its earnings report, making it the fourth best-selling video game of all time. The game was originally released in 2013 on the PS3 and Xbox 360 but later released on PS4 and Xbox One in 2014 as well as Windows in 2015. It joins a small group of games that currently sold more than 30 million copies worldwide and while 65 million is impressive, it still has a long way to go before it can claim the top spot. Here are the ten best-selling games of all time. A side scrolling platformer for the Wii, this Mario adventure allowed for four players to play simultaneously. It was one of the top selling games on the Wii, barely missing out on the 30 million mark, and was followed up with two more games on the Wii and Wii U. The first two Diablo games were popular with PC gamers back in 1996 and 2000, but it took another twelve years before a third game arrived. While the decision for players to remain online, even when playing single-player, the improvements made to the fantasy role-playing series and its unpredictable nature (levels are generated randomly) made it a hit with fans. You can’t keep a good plumber down and Mario’s debut for the Nintendo DS, the first of the company’s dual screen handhelds, was the first original side-scrolling platformer since Super Mario Land 2 on the Game Boy (that was back in 1992). It stuck to the classic platforming formula, but it was well received and its success resulted in a followup on the Wii. The sheer popularity of Wii Sports (which also makes this list) meant a followup was always going to be on the cards. If the original was to show off its motion controls, Wii Sports Resort was designed to show off MotionPlus, an accessory which could capture complex movements more accurately. The game expanded on Wii Sports offering extra games like basketball, swordplay, golf and frisbee among others. One of Mario’s most successful spinoffs, the racing series was a huge hit on Wii which appealed to those who wouldn’t see themselves as gamers. The inclusion of four player mode, the ability to play online (a first for the series), and a more balanced learning curve so anyone could jump in helped matters. The second-oldest title on this list, what can you say about Super Mario Bros. that hasn’t been mentioned before? It changed the way games were made and had a significant influence on the gaming industry as a whole, and its success was even more impressive when you consider how it arrived shortly after the biggest crash in the gaming industry. Continuing the world building set by previous games, the world of San Andreas is a vast land filled with a level of detail only possible from Rockstar’s work on previous games. Bright, full of personality and most importantly fun, it managed to become the fastest selling entertainment product in 24 hours and continued to surpass the high standards previous games set. The block-building creation game may feel like an exploration and survival game but to describe it as such would ignore its true strengths. A giant playground for the player, the level of creativity and structures built throughout its history has made it into something much more than just a game. Granted, it was bundled with the Wii on release but that didn’t stop it from becoming a major hit. While the gameplay was very basic, it was a way to show off the Wiimote’s motion control capabilities but it resulted in some very fun games. The training mini-games alone were worth the asking price and gave it a depth you might not have realised at first glance. The iconic puzzler has appeared on almost every platform you can think of, and for good reason. Accessible, mechanics that you instantly understand, and the tension felt as you try to build and clear three or four rows meant its success is more than deserved. Email “Grand Theft Auto V is part of an exclusive club but who else is in it?”. 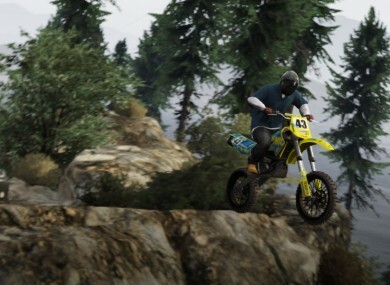 Feedback on “Grand Theft Auto V is part of an exclusive club but who else is in it?”.